The Aeolian Harp is named for Aeolus, the ancient Greek god of the wind. Wind harps are the oldest forms of automatic music. The app uses the wind harp as a metaphor and allows the user to create relaxing animations and sounds without musical knowledge. Recommended for headphones and external speakers. 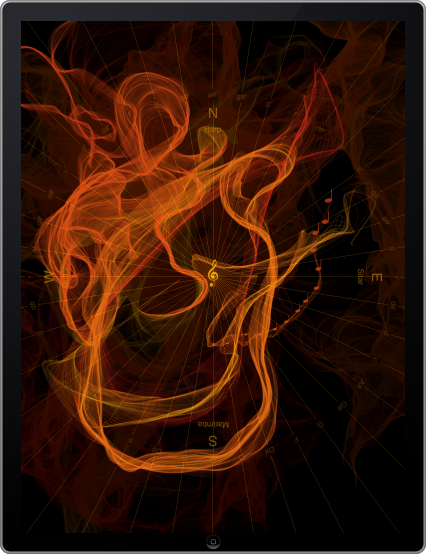 In September and October 2011 the Aeolian Harp reached the Top Ten in 10 stores as an iPhone Music App and in 12 stores as an iPad Music App. The Aeolian Harp inspired artwork by Arthur B. Chandler and Jamie Durrant. Touches and strokes generate visualizations and sounds which evolve in time. User defined parameter and color schemes can be used to explore the manifoldness of the underlying particle system. The compass can be used to locate sounds in the four directions of the winds. Snapshots of the animation can be send via e-mail. The sound concept has been revised. It is now possible to play the Aeolian Harp very much like a real harp. E.g., the touching of successive chords generates glissandi. A new echo effect repeats single notes and glissandi alike. The duration of the echo can be controlled by the evaporation of the particles, whereas the speed of repetitive pattern is controlled by the wind parameter. Both parameter can be manipulated in the settings menu. The predefined games are adapted to the echo effect in its various forms. Additionally, it is now possible to select modes to change the harmonic character of the generated music. Touching the clef in the center of the display twice shows the new mode menu. The sounds of the instruments are now recorded from real instruments. The responsiveness of the user interface has been improved. This version includes six new instruments from different hemispheres. The Aeolian Harp can now be played as a Balalaika, Celtic Harp, Guitar, Gamelan, Guzheng, Kalimba, Koto, Marimba, Orchestral Harp, or Sitar. Each of these instruments can be assigned to a compass direction with a double tap on a cardinal point. This way up to four instruments can be used at the same time. The loudness of the instruments now increases with the distance of the notes from the center. The performance on iPod and iPhone devices has been improved. You can use the snapshot function to save your preferred combinations of parameters, colors, and sounds as new coverflow items. 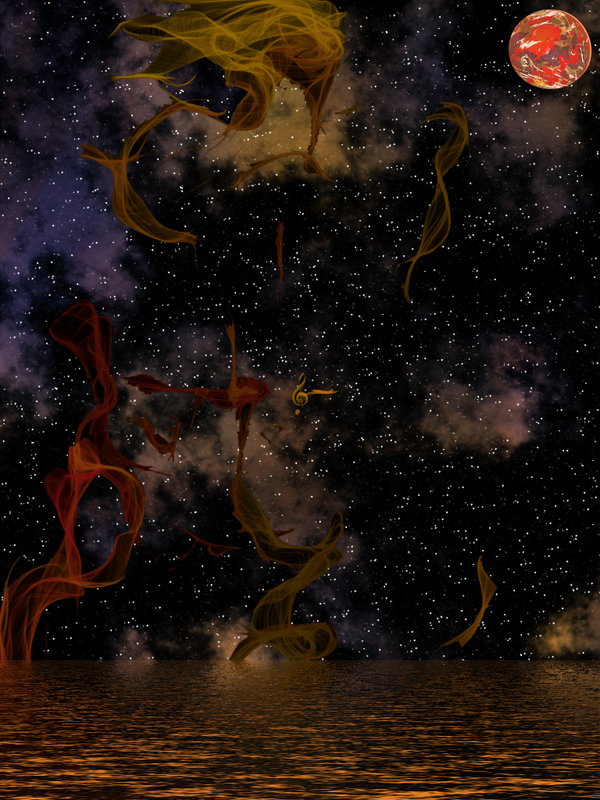 The correspondence between sounds and visualizations has been improved. The reverberation of the echo effect has been extended. This allows to listen longer to events without engagement. The instructions explain the parameters, settings, and menu items now in more detail. Improved support of the retina display. The finger-area sensing technology distinguishes between accented and soft notes by measuring the area of the touches. The steeper the angle of your finger, the smaller the resulting touch-area and the softer the sounds. Sounds and animation can be recorded and send via mail. An optional filter reduces the number of dissonant intervals of the echo effect. The fading of the strings can be disabled to enhance the playability of the Aeolian Harp as an instrument. Supports the retina display of the new iPad. Improved speed of graphic routines.